<?<O:P> We have constructed a house for a modern family that needs lots of space and air but also values the warmth of a home as well as nature-friendliness. 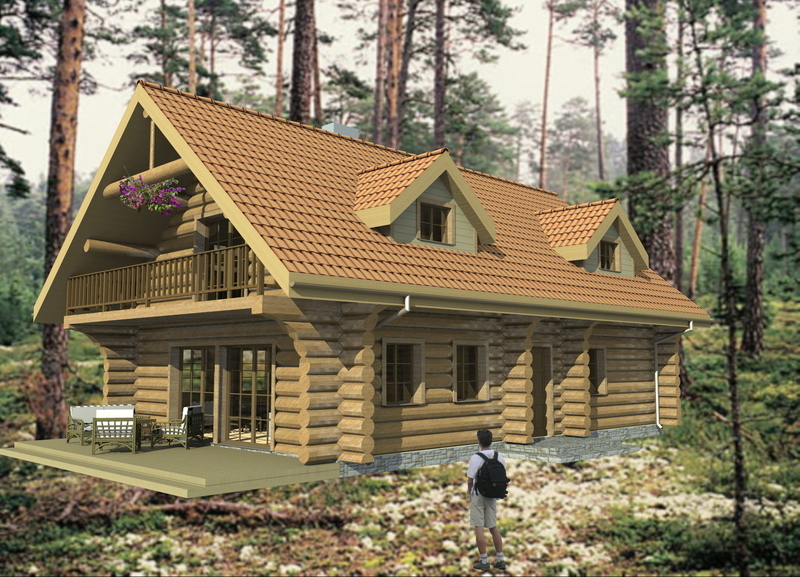 A log house is no longer a dim and cramped building with a low ceiling and smoky walls. 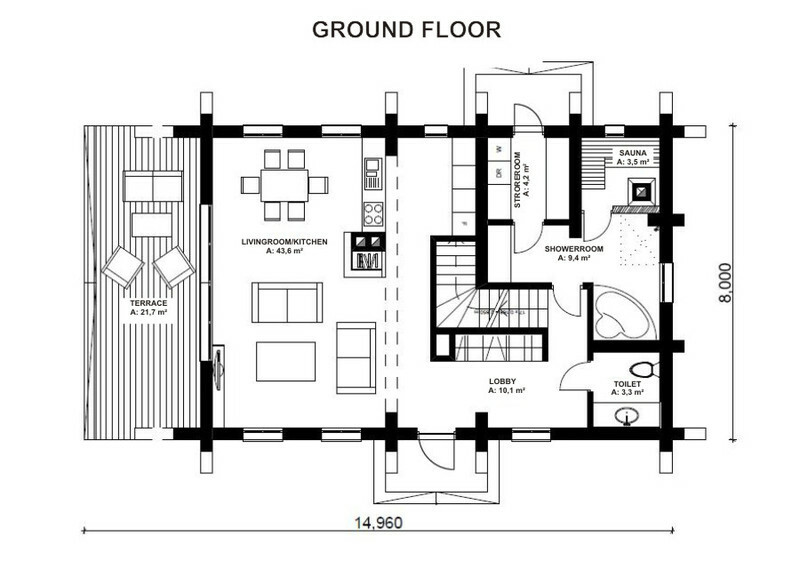 We offer you the possibility of living on two floors with a total area of 135.5 m2. If necessary, many generations will fit in here. There is also room for future developments. Why not plant currants behind the house or start a herb garden, which you dreamt about when living in a flat, or build the kids their own playground with a playhouse, a large sandbox and climbing ladders? There is a spacious living-room/kitchen, a large bathroom, toilet, sauna, and a storeroom on the ground floor of log house Kaleviste. Bedrooms are on the upper floor, where in addition a guestroom, a home office, a handicraft room, etc. could be set up. 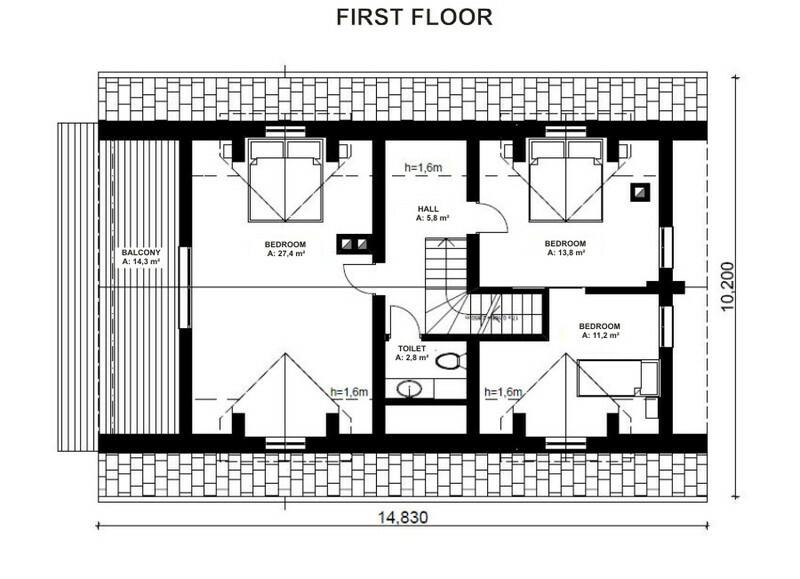 Also, a cosy spacious balcony is on that floor, where you can sit back in a reclining chair and enjoy the sun, read a good book, or why not deal with work matters. Last but not least, log house Kaleviste has a spacious terrace where you can enjoy the sunset, good company, and great food during long and bright summer nights.